Are you one of the many women who make the mistake and apply a concealer that is many shades lighter in order to lighten the pigmentation marks?? - Well let me break it down for you - it ain't gonna happen! All you doing is highlighting the problem. Literally! 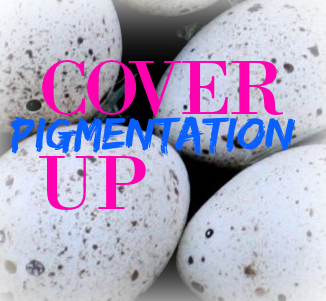 There are loads of makeup theories out there how to cover up pigmentation marks but one of the easiest and quickest way to cover up the pigmentation is just to use a foundation or concealer 2 tones darker than your skin color. Apply the foundation as you usually would and once the foundation is fully applied - use a foundation that is 2 shades darker than your skin color and just dab onto the the pigmentation marks. You can also use a concealer if you prefer. And that's all the magic - you can expect the pigmentation marks to disappear.